Every day, whether at home or on holiday, at work or at a party you will be accompanied by our charming accessories decorated with motifs of artworks from the museum collection. Bright prints and attractive designs will emphasize your individuality and sophisticated taste. Baseball caps, umbrellas, pocket emptiers will remind you of the Hermitage and become great Russian souvenirs for your friends as well. 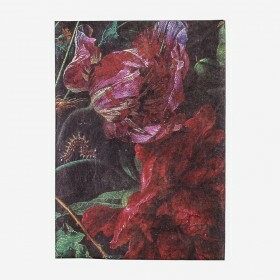 Passport cover "Flowers in a Vase"
Cloth for the Glasses "View of the Spit of Vasilyevsky Island "